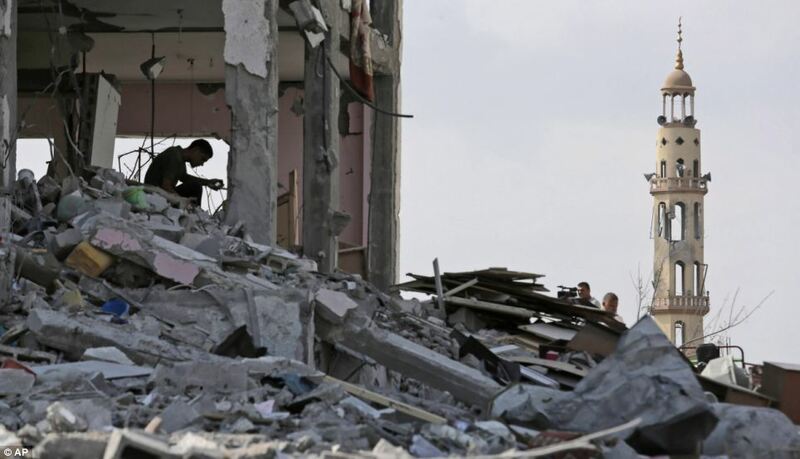 GAZA– The Environmental Education Centre of the Evangelical Lutheran Church in Jordan and the Holy Land has said that the Israeli aggression on Gaza has left behind around four million tons of rubble. The centre said in a report prepared on the occasion of the World Cleanliness Day that it takes between six to eight months of work to remove such an amount of rubble. It pointed out that the tools available at the ministry of works in Gaza are old and could handle only 20% of that amount of debris. It said that the destruction in the latest war on Gaza was fivefold more than the previous one in 2012, warning of a horrific humanitarian and environmental disaster as a result. The centre urged all justice lovers and environment supporters in the world to extend a helping hand to Gaza to remove this big amount of debris and to rebuild the beleaguered enclave. The United Nations has brokered an agreement to enable the reconstruction of the Gaza Strip, giving a lead role to the Palestinian Authority while involving the private sector, the UN’s top Mideast envoy said Tuesday. The agreement between Israel, the Palestinian Authority and the United Nations includes UN monitoring to ensure that construction materials will not be diverted from civilian to military uses, Robert Serry told the UN Security Council. The Gaza war left more than 2,100 Palestinians dead, the majority of them civilians, according to Palestinian and UN officials. Israel says the number of militants killed was much higher and accuses Hamas of using civilians as human shields. 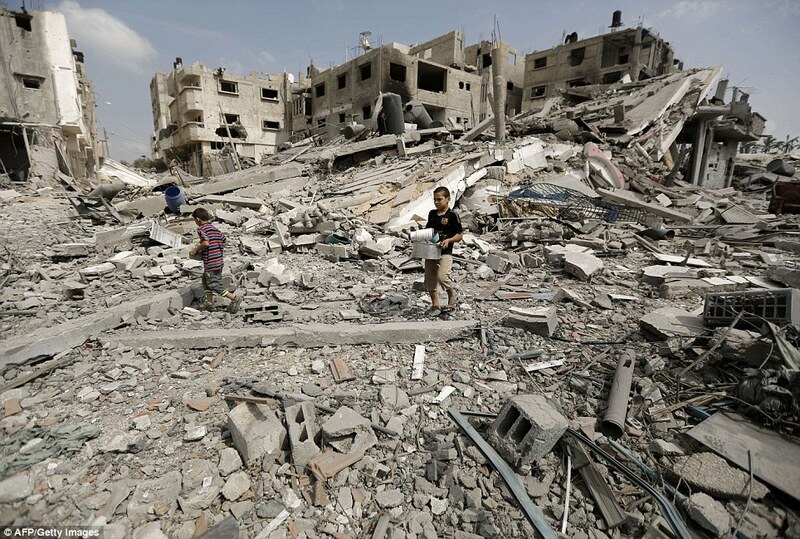 On the Israeli side, 66 soldiers and six civilians were killed. Serry said he witnessed “truly shocking levels of destruction to infrastructure, hospitals and schools” during a visit to Gaza last week. Large neighbourhoods have been totally ruined, an estimated 18,000 houses were destroyed or severely damaged, he said. Some 100,000 people have lost their homes, “leaving families shattered and despairing.” He said 111 UN facilities were damaged and over 65,000 displaced Palestinians are still living in UN shelters. 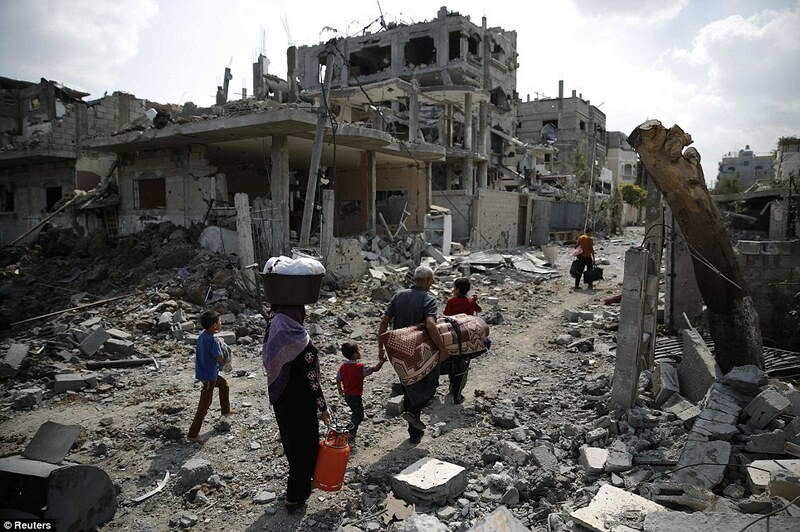 The deputy Palestinian prime minister, Mohammed Mustafa, said last week that international donors are hesitant to fund Gaza’s reconstruction so long as Hamas remains in control there and the spectre of future wars looms. Mustafa, a top official in the West Bank Palestinian Authority, said international bodies are eager for President Mahmoud Abbas’ Fatah forces to take on a leading role in Gaza. He said the monitoring agreement is timely ahead of a donors’ conference to fund Gaza’s reconstruction on Oct. 12 hosted by Egypt and co-sponsored by Norway. Serry said the UN doesn’t want a repetition of a donors’ conference at the Egyptian resort of Sharm el-Sheikh in 2009 when a lot of pledges were made to rebuild Gaza after another Hamas-Israel conflict “but there was no possibility to implement these projects” because of issues over getting construction materials into the Strip. Serry said reconstruction must take place alongside fresh efforts to promote a two-state solution and end Israel’s occupation. He said the Aug. 26 Egyptian-brokered cease-fire is “worryingly fragile, with the underlying dynamics still unaddressed,” including having the Palestinian Authority take control of Gaza from Hamas. Serry said he has been in close touch with Egyptian authorities who are “very supportive” of the new agreement, and are also hoping that stalled cease-fire talks will resume soon in Cairo between Israel and the Palestinian Authority. Pressed for details of the agreement, Serry said that for the first time the private sector in Gaza is going to be fully involved in Gaza’s reconstruction, together with the Palestinian Authority. He said the UN procedure for monitoring the import of construction materials for its own schools, clinics and other facilities, which has been going on for years, will be expanded to cover the wider reconstruction of Gaza. This will require more U.N. monitors though he gave no figures. 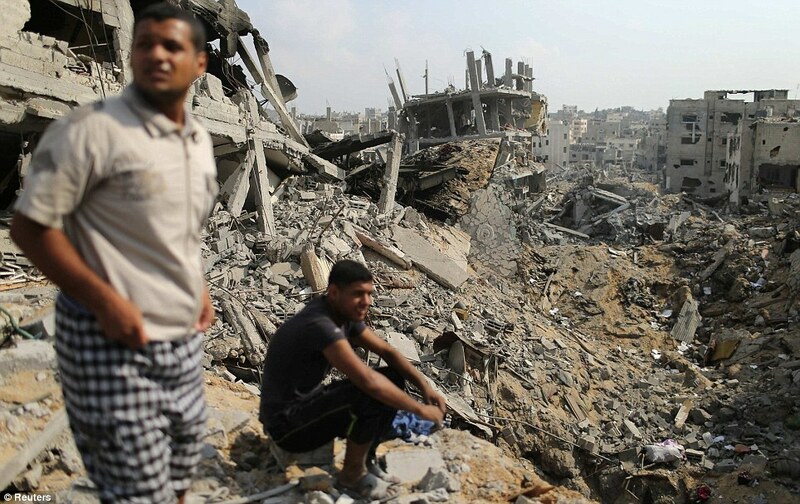 The dead were buried and the wounded are trying to heal while the rubble of the war on Gaza remains in place. Hundreds of thousands of tons worth of rubble, not to mention the environmental and health hazard they pose, remind the survivors of death every morning. Removing the rubble means finally beginning the process of reconstruction and a return to normal life. Gaza – Despite the end of the war in Gaza, wherever its residents or visitors look, they are surrounded by the sight of rubble and ruin. Hundreds of thousands of tons of debris – remnants of the Israeli war – still block entire streets, prompting people to invent new bypass roads. Work has begun in some areas with the available resources to remove this rubble. However, delays in actual plans to clear all of it threaten the environment and health conditions of people here. Besides, some residents still search every day through the ruins of their homes, hoping to find something, or any of their belongings, especially important papers and documents. According to preliminary figures published by the Ministry of Public Works, it is estimated that buildings destroyed during the 51-day war were reduced to 2.5 million tons of rubble. This figure is four times larger than that of the 2008-2009 Israeli war [on Gaza]. According to preliminary figures published by the Ministry of Public Works, it is estimated that buildings destroyed during the 51-day war were reduced to 2.5 million tons of rubble. Gazan families are impatiently waiting for the removal of the piles of debris as they view it as a sign of the actual beginning of reconstruction. Otherwise, all the promises made are nothing but a smokescreen. This is the sense you get in the neighborhoods of al-Shujayeh in eastern Gaza, Beit Hanoun in northern Gaza and Khuzaa area in southern Gaza. Statistics also reveal that about 10,000 houses were totally destroyed and 30,000 were partially destroyed, including 5,000 houses that are in dire need of rehabilitation. The result is that 11,000 families are without shelter in addition to losing their basic resources. Al-Akhbar contacted the under-secretary of the Ministry of Housing in Gaza, Naji Serhan, to ask what they are planning to do with the debris. He said that the government, in cooperation with specialized agencies, devised an emergency plan for 100 days to deal with this problem. The emergency plan includes clearing part of the rubble in addition to providing rent and alternative apartments for people whose houses were destroyed. “Temporary caravans were provided to shelter the rest of the families,” he added. As for long-term plans, it is believed that part of the rubble will be crushed for use in building and construction. The rest will be used in building small dirt roads in the sea and consolidating the fishing port in Gaza, in addition to coastal areas overlooking the sea such as the eroded al-Shati Camp (Beach Camp), according to the under-secretary. Serhan went on: “We can use the rubble in more than one area, but the most important thing is to remove it. Reusing it requires huge amounts of money that we currently do not have. Besides, building a port requires Israel’s approval. He pointed out that they were directly threatened by Israel when they built one dirt road in the sea before the war. Statistics also reveal that about 10,000 houses were totally destroyed and 30,000 were partially destroyed, including 5,000 houses that are in dire need of rehabilitation. Despite these ideas, there is an ongoing public concern especially in light of the negative impact of the rubble. Abu Ali Darduna was one of the people who lost their homes in the war in addition to a small shop that constituted his livelihood. He is embarrassed because the rubble of his home is blocking a street which forces the rest of the area’s residents to take another road to get to their homes. He says no one came to check the debris to see if it contains hazardous materials. At the same time, he is worried that clearing the rubble quickly might lead to losing whatever is left of his belongings beneath it. Yet, he is afraid to look through the rubble in case there are unexploded ordinances.